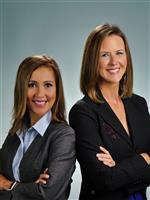 With 5-Star ratings on Zillow, Realtor.com and Facebook from many satisfied buyers and sellers, Lindsey and Jessy are continually staying ahead of the curve expanding their knowledge and skillset to bring their clients only the best service always! Lindsey and Jessy together have over 10 years of real estate experience, 20 years of marketing and sales expertise and proficiency in design applications that will set your listing apart from the rest. If you are looking to buy and/or sell a home now or in the future, they have what it takes to get it done and make the process enjoyable along the way. As is often said, real estate is about location, location, location. We have extensive knowledge of the West Palm Beach, FL area and can help you find the right home for you or the right buyer for your home. Bowen Realty is a full service real estate agency with 5 locations throughout Palm Beach County.